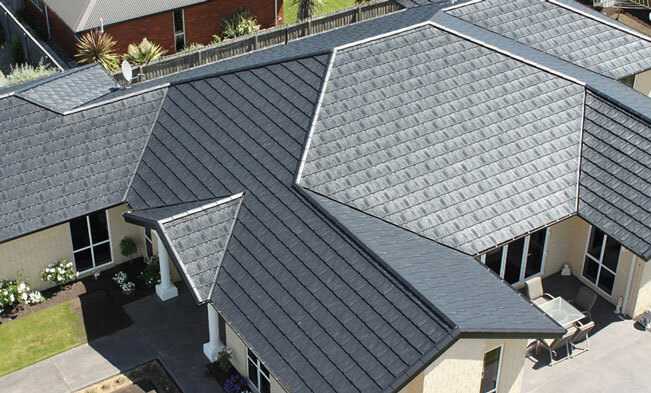 Trims are used on hip, ridges and gables and are compatible with all roof tiles,however it is important to inform your sales rep which you prefer as soon as you can. The angle trim is suitable for either tile, and a corrugated option is also available in the painted finish which complements the Shake tile very well and achieves an elegant finish overall. Angle Ridges are used to flash the ridges, hips and gable junctions on your roof. Barrel Trim is available in both painted and stone chip finish, this rounded trim is a favourite with the Chateau tile.It is also compatible with the Metalcraft Shake Tile. Barrel tiles are used to flash the ridges, hips and gable junctions on your roof. Folded Flashings are the most economical option and are available up to 8m in the Coloursteel® finish. Stone chipped flashings are limited to 1.5m lengths only and these are manufactured from 0.55 tinted resin Zincalume coil and then chip coated.